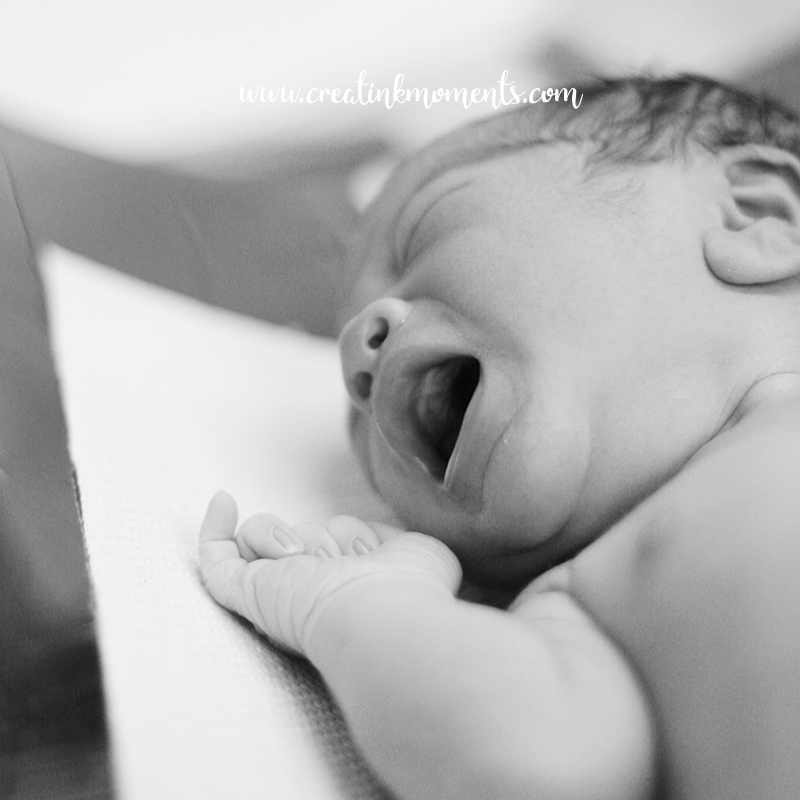 Ten days after the delivery day, I visit their home to capture their newborn. I brought all the necessary props and turned their living room into a mini studio. Thanks to Mom and Dad who are very cooperative during the photoshoot, we managed to preserve memorable photographs of baby Denzel. This baby boy is destined to be tall, he slept most of the times, asking milk now and then. Meet baby number one, Denzel, he is 7 years old now (2017). I saw him for the first time in Asih Hospital, delivery room. Fresh from Mom's tummy to the world. Due to the smoothness of his birth, he had to wait a few seconds longer to enter the world, waiting for me to be in the room to capture his delivery. He was covered with white placenta, placed immediately on Mom’s chest for Inisiasi Menyusui Dini (early breastfeeding). A breathtaking moment to witness. I’ve met Mommy Diana, when she works at a Slimming Centre few years back. A warm person, who being a doctor is also fluent in front of camera. Which predicts her future job years later. Since then I have captured her growing family precious moments. Having your no 1 is an unforgettable time, the first of everything you never experienced before. But as a doctor herself, she went through this pregnancy smoothly, of course with the support of her hubby who also is a doctor. Even before the delivery, when other women would stroll along the hospital corridor, she strolled along department store. These pictures were taken a few days before giving birth.